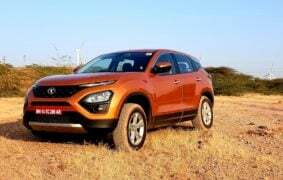 Should I buy a Tata Harrier? Let me try to answer it for you. Make sure to read till the end to get the complete picture. 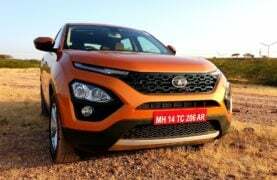 Tata Harrier is one of the most impressive and attractive looking cars from Tata Motors till date. It is modern, stylish, sophisticated as well as sporty from most angles. 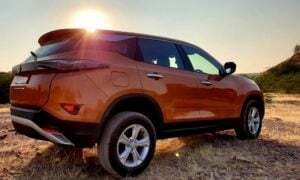 The SUV looks quite butch, with a large grill and masculine front fascia. The sleek DRLs and segregated Headlamps and fog lamps cluster look quite attractive and different from the crowd. The car is quite large in dimensions too and has great road presence. 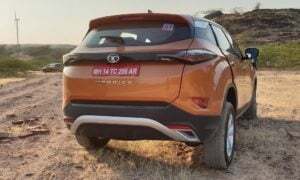 Its size is among the largest in the segment, which not only means that it has a great road presence but also translates into a lot of interior space, which we are going to talk about in the next section below. 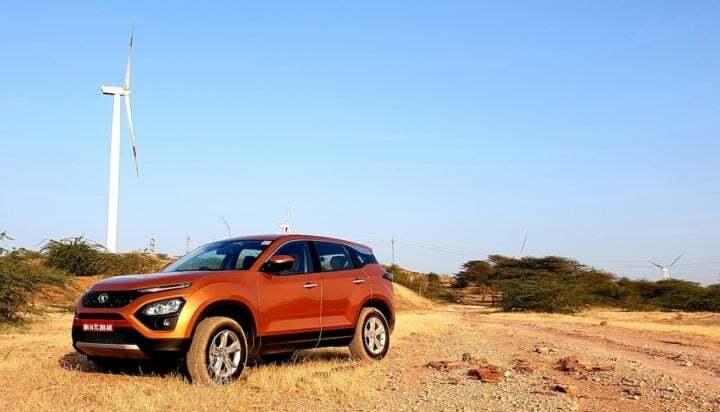 Overall, the Harrier is quite a head turner and does attract a lot of attention on the road. Enter the cabin of the Tata Harrier and you will be pleasantly surprised. The space, design as well as the finish of the interiors are better than most cars in the segment. 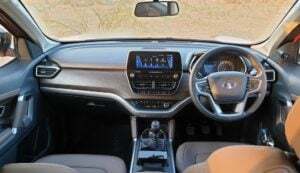 It has some rather unique design and features like an island type floating infotainment system, a secondary MID display inside instrument cluster, cooled armrest storage compartment to name a few. The front seats are pretty good in terms of size, support and comfort for long drives. 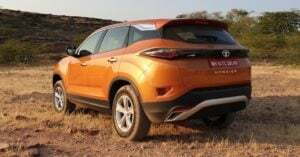 There are oodles of space, lots of headroom and shoulder room on the front. The dashboard is finished in a soft black top with faux oak wood design in the middle and a dash of silver here and there. 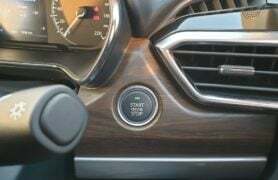 The placement and location of the controls, infotainment and other switchgear like mode selection etc. are on-point and easy to reach. The front row is quite impressive. The only area of improvement we see is the touch quality of the faux wood which seems a bit too average compared to other surfaces in the car which feel relatively premium. On the rear seat too, there is plenty of space, very good quality of seats with strong support. There is lots of legroom and headroom. There are plenty of storage spaces in the car. There is also a foldable armrest with cup holders on the rear seats. 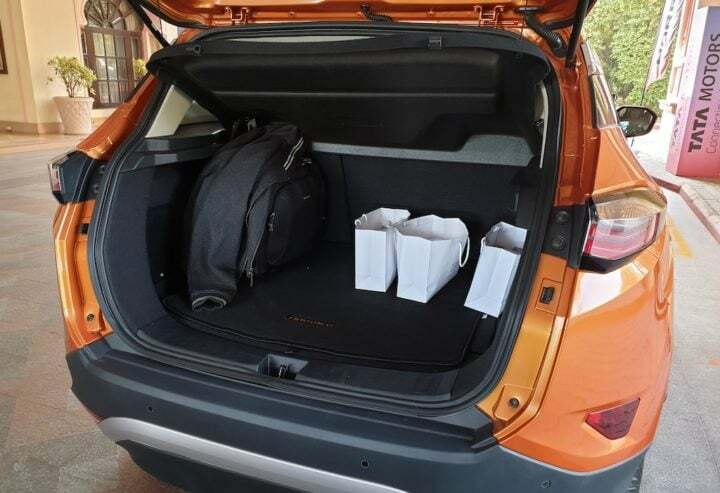 The shoulder room is good for 3 average built adults, but more comfortable for 2 as there is a considerable transmission tunnel on the floor (while there is no transaxle below it yet as the car is a front wheel drive, but they may bring a 4×4 in future, hence the tunnel is there). The boot space is also fairly large 425-litre boot space, which can be increased to 810-liter by folding the rear seats. 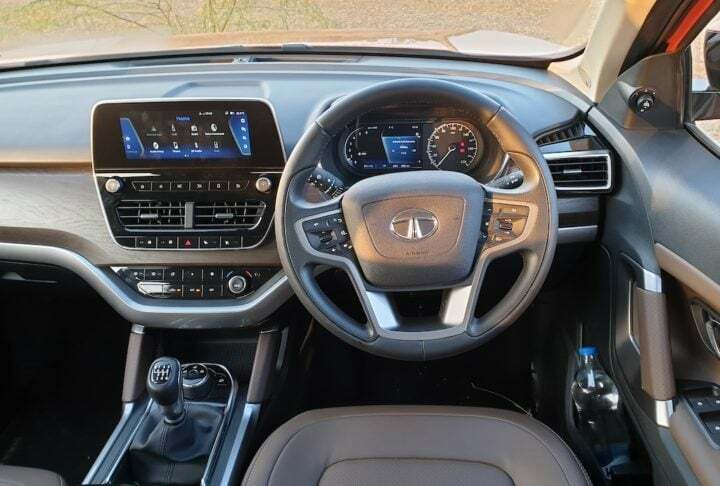 In terms of space, interiors and features, the car is very loaded and impressive. 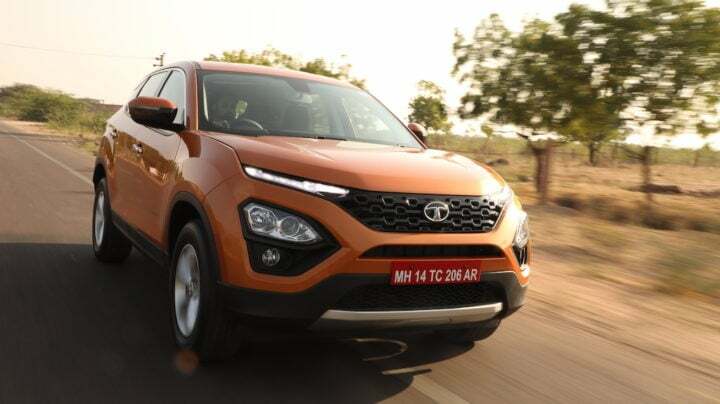 Tata Harrier is powered by a Kryotec 2.0-Litre Turbocharged 4 cylinder diesel engine with a peak power of 140 PS and peak torque of 350 Nm. 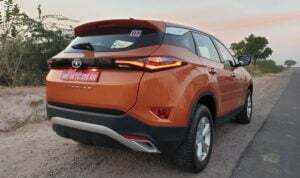 It is mated to a six-speed manual transmission and there is no other engine or transmission option at present. 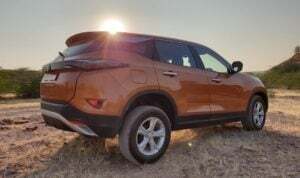 They will eventually launch an automatic version and may also bring a 4×4 in future, but it is not officially confirmed as of now. 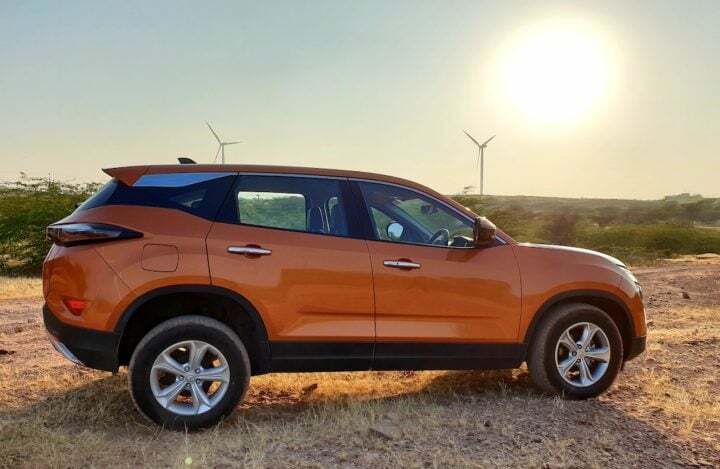 The engine is quite powerful and meaty throughout the rev range, especially once the turbocharger kicks in. 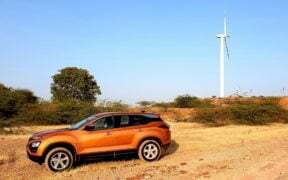 We really enjoyed the engine performance over the roads of Jodhpur and Khamsar. 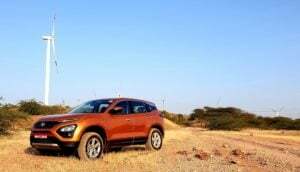 The highway performance is very pleasant and it does pull quite well. 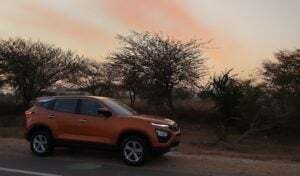 The only gripe is that at lower speeds, it required quite frequent gear shifts, but once you cross around 40 KMPH, it feels much more relaxed to drive. The transmission gear ratios are quite wide and we would have loved to see an automatic on this, as the engine is quite capable of taking better advantage of power band of the engine compared to a manual gearbox, which requires some work to keep it enthusiastic. For sedate driving, this 6 speed MT is quite good. 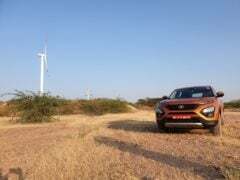 On our test run of around 200 Km, including around 160 Km Highways and 40 Km city drive, we got a mileage of around 15 KMPL. 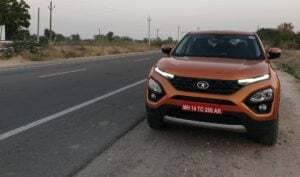 Which means that you can expect around 12-14 KMPL in city and from 14-18 KMPL on the highways from the Harrier in the real world conditions, which is quite impressive. 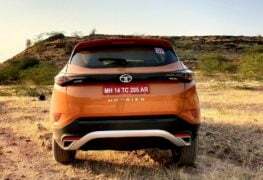 The Tata Harrier SUV gets a tight suspension setup with larger 17-inch wheels. 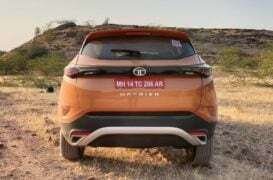 The suspension seems to be great when it comes to handling as there is close to no body-roll and the car feel extremely planted at high speeds and while cornering. But on the flip side, the tight suspension makes the ride a bit less pleasurable on bad roads, but in absolute terms, it is not too bad. It is quite well tuned, but it can be improved. 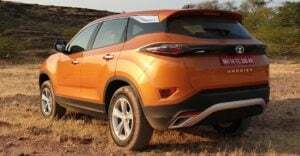 Since the suspension and ride feel is a subjective choice, I recommend that you take it with a grain of salt and do a test drive yourself to find out if you like the suspension behaviour or not, I personally quite liked it. 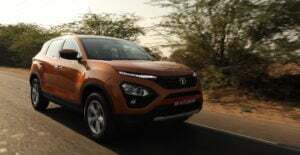 The steering of the Tata Harrier of the is quite light and easy to use in the city, but on highways, it does not weigh up as much as we would have liked it to weigh, so it feels a bit too light at higher speeds. This is probably one area where we feel that Tata can improve Harrier. Tata Harrier looks great, has lots of interior space, is loaded with a lot of features, has a powerful yet frugal engine, offers great road presence and a well-balanced suspension. 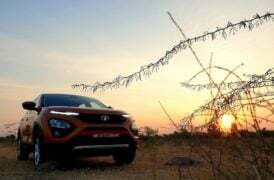 For a first generation product, it feels quite well built and mature, which makes it an impressive car in this segment. 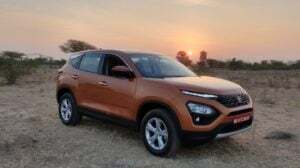 So coming to the question- should I buy a Tata Harrier? , the answer is not very straightforward, yes or no, but more towards yes. I would recommend you must test-drive this car to find out whether it does fit your preferences. 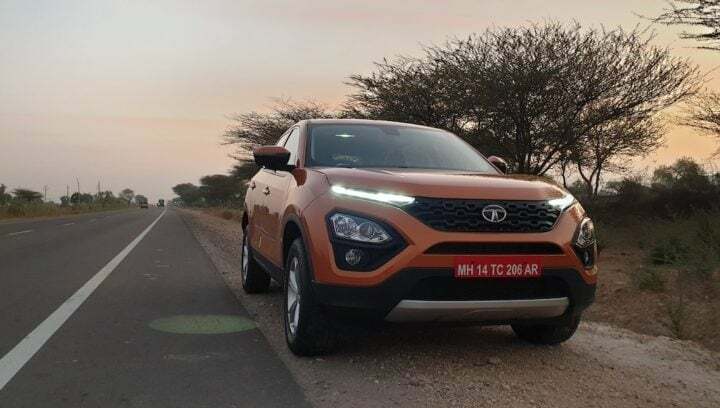 Tata Harrier complete specifications, features and equipment list revealed!